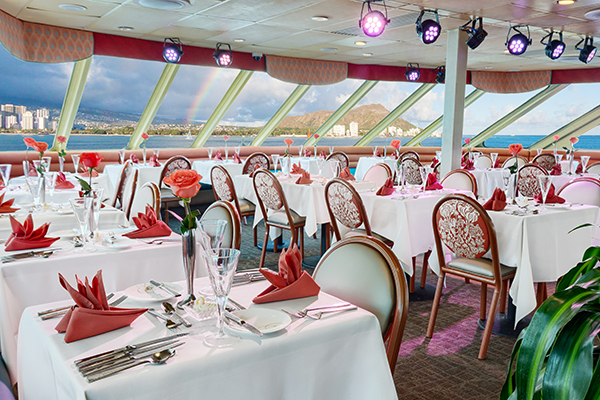 The Star of Honolulu’s state of the art facilities feature 4 decks of beautifully designed ballrooms, panoramic walk-around decks and a 60 foot high observation deck. 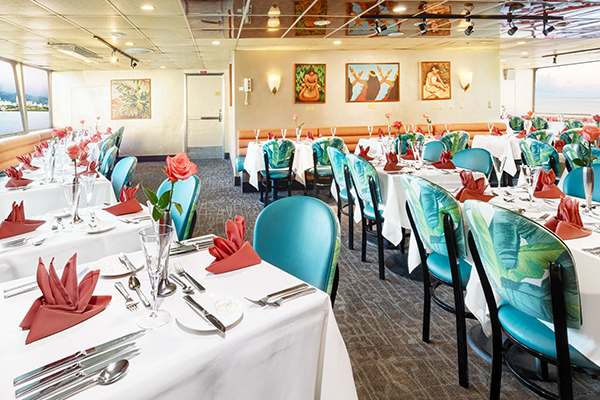 Step aboard through our virtual tours! Certifications: U.S. Coast Guard certified. Certified to go beyond Diamond Head. 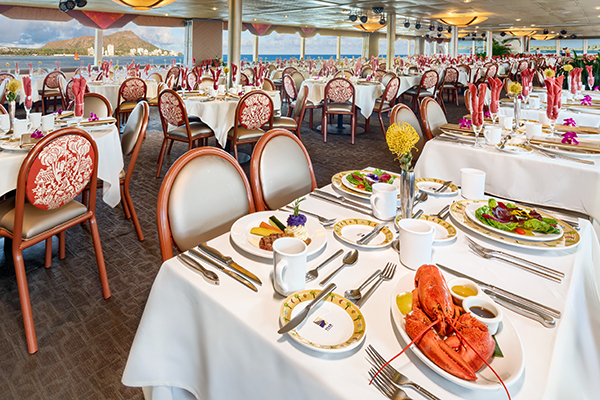 State of the Art Facilities: Culinary facilities, sound systems, bars, and restrooms on every deck; flat screen TVs available in some rooms. 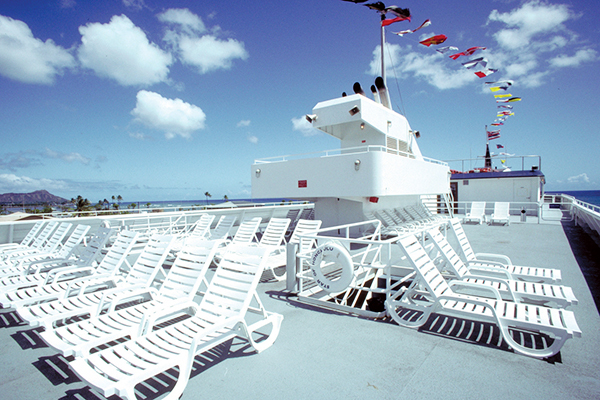 Our open-air observation sun deck rises 60 feet above the ocean providing panoramic vistas and lounge chairs. Beautiful ballroom with exquisite Art Deco style interior, private bar, waiting lounge, restrooms, baby grand piano, sound system, air-conditioning, and private lanais. Beautiful open-air ballroom, sound and lighting system, panoramic walk-around verandas with bar, cocktail and restrooms located just outside the ballroom. Private dining lounge surrounded by large panoramic windows, private bar, restroom, air-conditioning, sound system and private lanai. Beautifully decorated open-air ballroom can be divided into 4 banquet rooms, each equipped with own sound system. 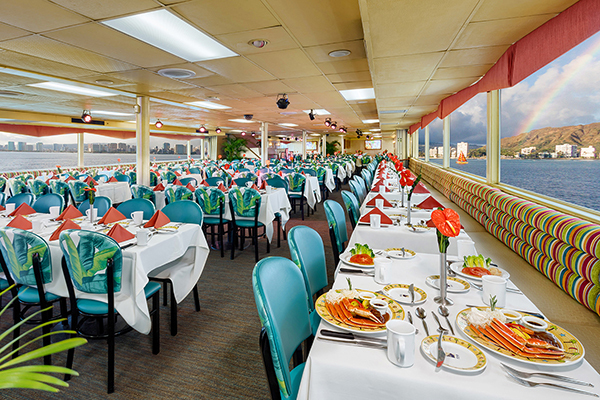 Panoramic walk-around veranda, lanai bars are located just outside the dining room. 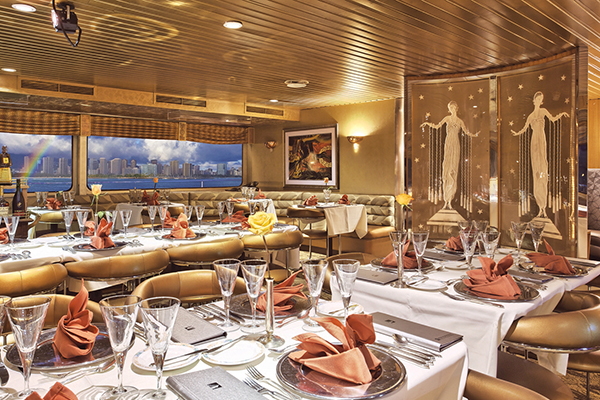 Perfect for private events with panoramic views. Equipped with own bar, sound system and air-conditioning. Beautiful ballroom can be divided into 2 banquet rooms. 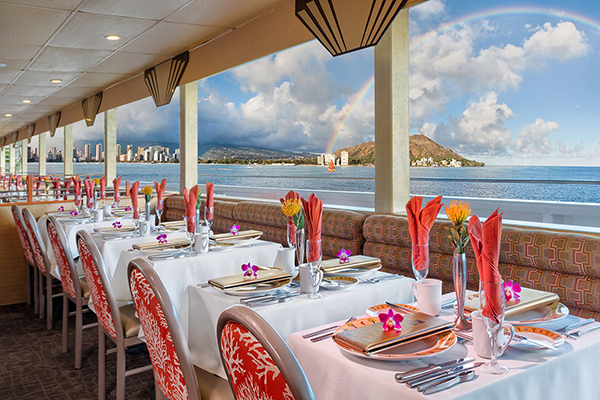 Equipped with own sound system, air-conditioning, lanai bars and restrooms just outside dining room.